HSC Result 2018 of all boards Has been Published on 19th July, 2018 on Bangladesh education board’s official www.educationboardresults.gov.bd. HSC result 2018 Bangladesh Has been also Published on all education board’s individual website. This information has been confirmed by different education board’s official website. HSC Exam Result 2018 Marksheet Has been also available on our website en.Lekhaporabd.com & Lekhaporabd.com. Bangladesh Open university BOU HSC Result 2018 also has been Published recently on Bangladesh open university official website. Check Your Result from Your Board’s Individual website with Less server / loading problem. How to check HSC Result 2018 by SMS mobile? Barisal Education board Has been Published HSC Exam result 2018 Barisal board at 01:30 PM on their official website and their official Android App. Barisal Education Board HSC result 2018 website address is www.barisalboard.gov.bd and official android app which name is Barisal board. Students can easily get their result through the Android app. After download Barisal board Android app students have to open the app. After open the app they have to provide examination, Year and Roll number to the app. After complete these steps HSC result 2018 Barisal board has been automatically appear on the mobile phone display. On the same day Barisal Education board office’s 106 number room exam result statistics has been distribute to Journalist. This Year Barisal Education board HSC Candidate was 62,173. Among of them male student number was 31,817 and the female student number was 30,356. Total 43,861 students passed on the HSC. This year Barisal board HSC passed rate is 70.55%. Total 670 students get GPA 5. GPA 5 achieved student percentage is 1.08%. Chittagong Education board Has been Published HSC Exam result 2018 Chittagong board at 01:30 PM on their official website. Chittagong Education Board HSC result 2018 website address is www.bise-ctg.gov.bd . We Has been update HSC result 2018 Chittagong Board specific link here after Published by authority. This Year Chittagong Education board HSC Candidate was 96,858. Among of them male student number was 48,011 and the female student number was 49,673. Total 60,755 students passed on the HSC Exam. This year Chittagong board HSC passed rate is 62.73%. Total 1,613 students get GPA 5. Comilla Education board Has been Published HSC Exam result 2018 Comilla board at 01:30 PM on their official website. Comilla Education Board HSC result 2018 website address is www.comillaboard.gov.bd . We Has been update HSC result 2018 Comilla Board specific link here after Published by authority. 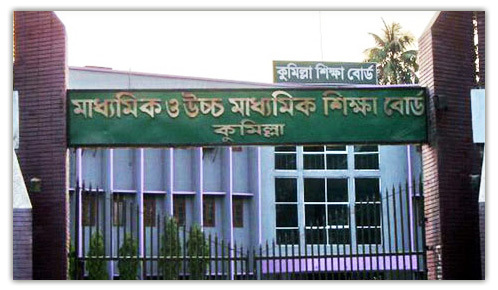 This Year Comilla Education board HSC Candidate was 1,03,666. Among of them male student number was 47,831 and the female student number was 55,835. Total 67,820 students passed on the HSC. This year Comilla board HSC passed rate is 65.42%. Total 944 students get GPA 5. Dhaka Education board Has been Published HSC Exam result 2018 Dhaka board at 01:30 PM on their official website. Dhaka Education Board HSC result 2018 website address is dhakaeducationboard.gov.bd . We Has been update HSC result 2018 Dhaka Board specific link here after Published by authority. This Year Dhaka Education board HSC Candidate was 3,69,760. Among of them male student number was 1,86,842 and the female student number was 1,82,918. Total 2,44,512 students passed on the HSC exam. This year Dhaka board HSC passed rate is 66.13%. Total 12,938 students get GPA 5. Dinajpur Education board Has been Published HSC Exam result 2018 Dinajpur board at 01:30 PM on their official website. Dinajpur Education Board HSC result 2018 website address is www.dinajpurboard.gov.bd . We Has been update HSC result 2018 Dinajpur Board specific link here after Published by authority. This Year Dinajpur Education board HSC Candidate was 1,19,507. Among of them male student number was – lakh — thousand — and the female student number was – lakh — thousand—. Total 71,951 students passed on the HSC Exam. This year Dinajpur board HSC passed rate is 60.21%. Total 2,297 students Achieved GPA 5. Jessore Education board Has been Published HSC Exam result 2018 Jessore board at 01:30 PM on their official website. Jessore Education Board HSC result 2018 website address is www.jessoreboard.gov.bd . We Has been update HSC result 2018 Jessore Board specific link here after Published by authority. This Year Jessore Education board HSC Candidate was 1,09,692. Among of them male student number was 56 thousand 820 and the female student number was 52 thousand 872 Total 66,258 students passed on the HSC. This year Jessore board HSC passed rate is 60.40%. Total 2,089 students achieved GPA 5. Rajshahi Education board Has been Published HSC Exam result 2018 Rajshahi board at 01:30 PM on their official website. Rajshahi Education Board HSC result 2018 website address is www.rajshahieducationboard.gov.bd . We Has been update HSC result 2018 Rajshahi Board specific link here after Published by authority. This Year Rajshahi Education board HSC Candidate was 1,39,330. Among of them male student number was 76,229 and the female student number was 63,101. Total 92,674 students passed on the HSC Exam. This year Rajshahi board HSC passed rate is 66.51%. Total 4,138 students achieved GPA 5. Sylhet Education board Has been Published HSC Exam result 2018 Sylhet board at 01:30 PM on their official website. Sylhet Education Board HSC result 2018 website address is sylhetboard.gov.bd . We Has been update HSC result 2018 Sylhet Board specific link here after Published by authority. This Year Sylhet Education board Appeared HSC Candidate was 71,042. Among of them male student number was – lakh — thousand — and the female student number was – lakh — thousand—. Total — students passed on the HSC. This year Sylhet board HSC passed rate is 62.11%. Total 873 students get GPA 5. Technical Education board Has been Published HSC Exam result 2018 Technical board at 01:30 PM on their official website. Technical Education Board HSC result 2018 website address is www.bteb.gov.bd . We Has been update HSC result 2018 Technical Board specific link here after Published by authority. This Year Technical Education board HSC Candidate was 1,18,000. Among of them male student number was 60,923 and the female student number was 28,166. Total 89,905 students passed on the HSC exam in BTEB. This year Technical board HSC passed rate is 75.50%. Madrasha Education board Has been Published Alim exam result 2018 Madrasha board at 01:30 PM on their official website. 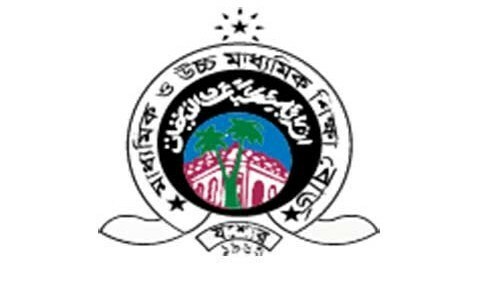 Madrasha Education Board Alim result 2018 website address is www.bteb.gov.bd . We Has been update Alim Exam result 2018 Madrasha Board specific link here after Published by authority. These students who have any confusion about their HSC & Equivalent result 2018 they can board challenge their result. This process is known as HSC re-scrutiny program. This year HSC rescrutiny process 2018 has been going on from 20/07/2018 to 26/07/2018. Details process of HSC re-scrutiny is also available on our site. HSC Alim Scholarship result 2018: HSC & Alim Scholarship result is provided by according to HSC & Alim exam result. Normally HSC & equivalent scholarship result Published within 4-5 month of HSC result Published date. This Scholarship result Publishedes in two categories as like PSC Scholarship result. They are 1) Talent pool Scholarship & 2) General Scholarship. HSC Scholarship result Has been available on our website. You can easily download all Education board HSC Scholarship result 2018 in pdf format from our website.